Nature’s Wonder, Fresh mint. Widely used in middle east cooking in most dishes. Good for healthy eating. Good for bloating, colon cleansing, high blood pressure…. Parsley: One of the main ingredients of Mediterranean kitchen. 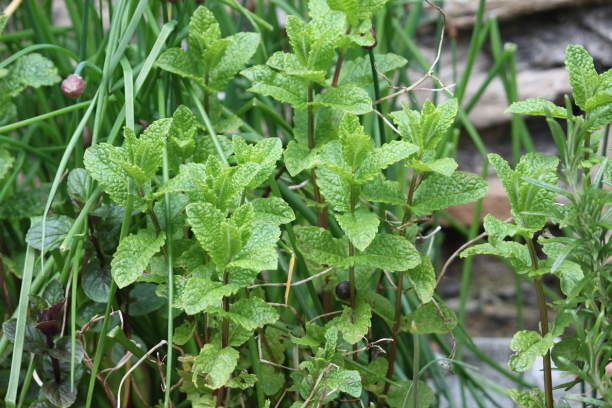 You can use this lovely green herb in salads , soups, marinates, dips. Has got very distinctive aroma and can grow any where easily. 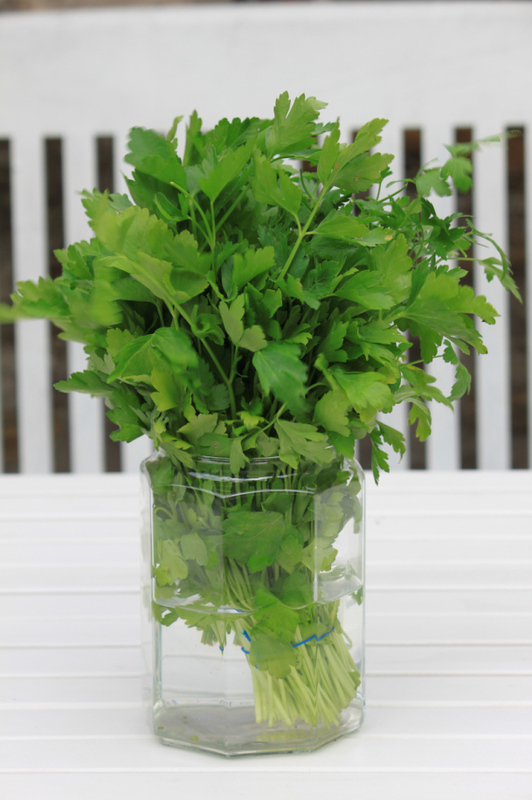 If you want to keep parsley longer then put in a jar or small vase and fill with fresh water like in the picture and change the water every other day. This way you can keep it parsley fresh up to 10 days.